Facebook is a good platform to be in touch with your friends, family members and colleagues even when they are thousand miles away. Good as well as bad thing is that, anyone can find your profile on Facebook and they can see what you're posting and doing. Due to this reason, you may want to block someone for little privacy. 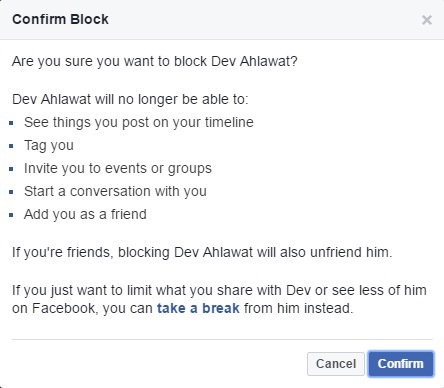 Based on person interest, Facebook has added a block option using which you can block anyone that you finds annoying and don't want to see them again on your account. I usually block my relatives and cousins for some personal reasons. Additionally, if an unknown person is bothering you by sending spam & hate messages, you can get rid of him by blocking its Facebook profile. If your friend is sending you a candy crush request, you can block his profile and he/she won't be able to send you further requests. 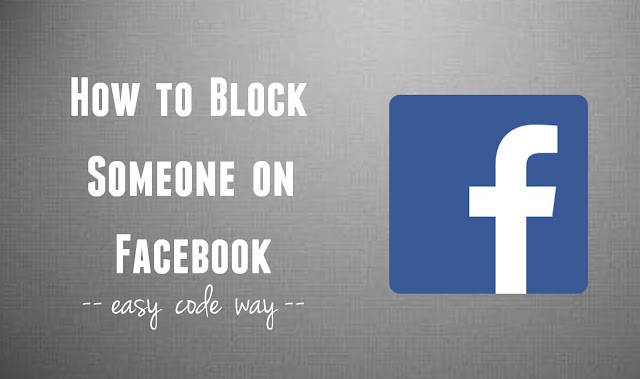 This tutorial will guide you how to block those annoying people on Facebook in 3 different ways. Later on, we'll discuss on what will happen when you block someone and how to unblock them again. 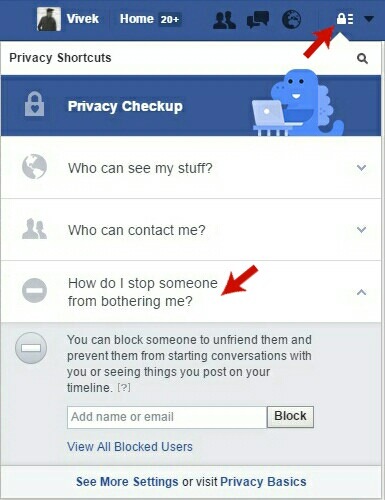 Now click on "How do I stop someone bothering me" option. In "Add name or email" field, type the name or email of the person and then hit "block" button. Now a pop up box will appear. Here you'll find all search results. 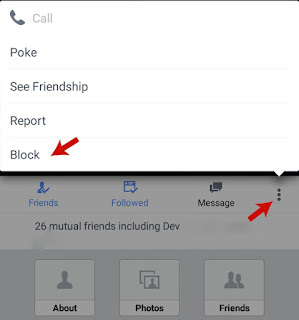 Find and click the block button next to the person you want to block. Again click block button one more time and that's it. Note: You don't need to be a friend with the person you wants to block. In other words, you can also select anonymous people. All what is need is their name or email address. There is another manual way to block people on Facebook. In this, you don't need to search the person. Simply open its profile and then click on profile option button (three dots "..."). A drop-down menu will open. Now click on block option followed by confirm button and you've done it. Last but not least, you can block a person from your account settings. 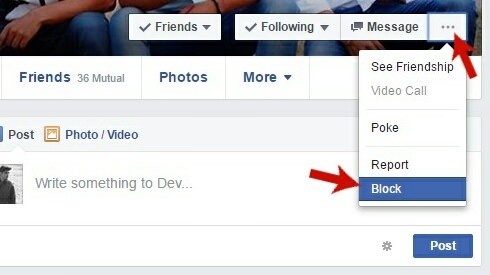 To do that, go to Facebook homepage and click on drop-down arrow icon (the same button from where you logout the account). Now click on "Settings" option. A new window will open. Here move to "Blocking" tab. Under block users section, type the name or email of the person and hit block button. After this, find the right person you've searched and click "block" button next to it. Again click block button one more time and that's it. You may want to start conversation again with the person you've blocked earlier. It's pretty much easy to unblock them. First of all, go to "Settings > Blocking". 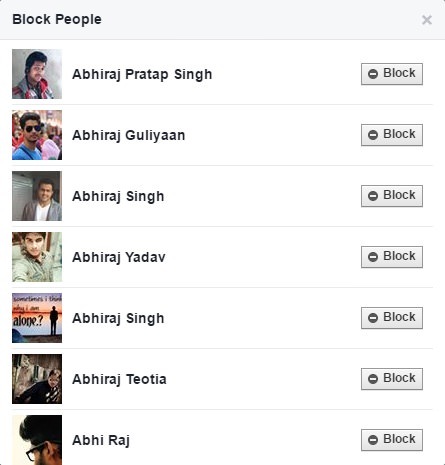 Under block users section, you'll find a complete list of people you've blocked. To unblock someone, click "Unblock" button next to its name. After this, a pop up box will appear. Simply click confirm button to proceed and you've done it. Now the person can again start conversation with you. He/She can follow, send friend request and message you. They can also see your timeline posts depending on your privacy settings. Note: If you want to re-block that same person again, you've to wait for 48 hours or 2 days at least. There are few important things you need to know about Facebook blocking. Here's is what happens when you block someone. Blocked users won't be able see your profile. They will not find you in normal Facebook search. However, if they will try to access your profile from other sources (for example, by entering your profile URL directly or by searching you on Google), Facebook will automatically redirect them to the homepage or show an error message. Blocked users won't be able to see your timeline posts, tag you and invite you to events and groups. They can't even see what you had commented on other's posts. People you block won't be able to start a new conversation with you. However, they can still read old messages. Blocked users won't be able to follow and add you as a friend. 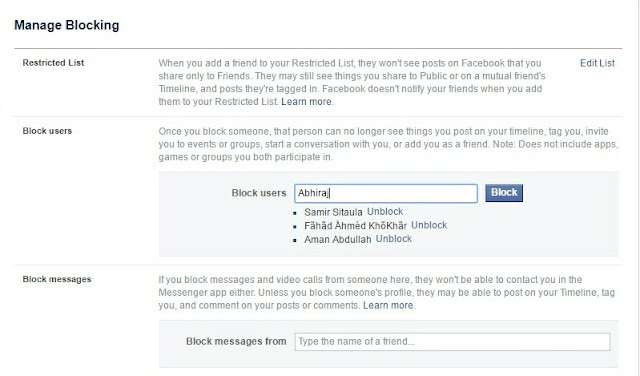 If you're friends, blocking will automatically remove that person from your friend list. 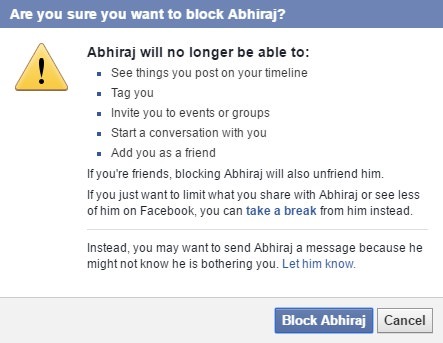 If you'll unblock them in future, you've to send a new friend request again. They can still interact with you in groups and apps. Wrapping up all these points, we can say that blocking will complete hide your profile and the person can't re-connect with you in any way. It's more like that you're not active on Facebook for the person you've blocked. If you've any doubts, fell free to share them in below comments. Stay tuned for more interesting tutorials.